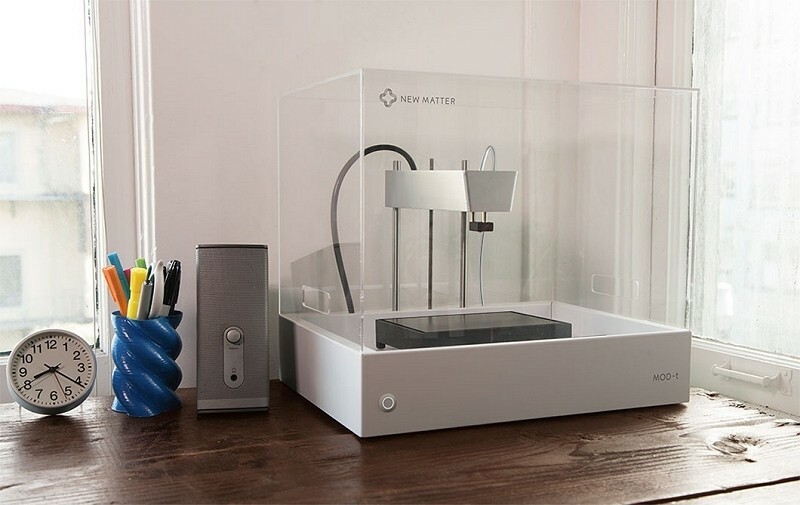 There’s a new 3D printer vying for your support on Indiegogo and while it doesn’t push the bounds of what is currently available in terms of technology or specifications, it could have a tremendous impact on the market based on price point alone. Built in partnership with Frog Design, the MOD-t will be available in black or white and uses a 2-axis motion system that simultaneously moves and supports the build plate with very few components. This means that it prints more consistently and makes the printer much cheaper to build. The machine will use fused filament fabrication and non-proprietary PLA filament to print at a minimum layer height of 0.02mm. It’ll be capable of printing objects up to 6 inches by 4 inches by 5 inches and will use Wi-Fi connectivity. The MOD-t is expected to ship in about a year to early backers. You’ll need to donate at least $199 to get in on the action (sorry, the $149 early bird special is all gone) but even still, that’s much cheaper than some other 3D printers already on the market. Unfortunately, shipping isn’t included in this price so you’ll need to spring an extra $40 to cover transit. With a sub-$200 price point, it is one of the first truly affordable devices of its kind that could help take home 3D printing mainstream. A similar offering from Makibox and the build-your-own RepRap also fit into the budget category.